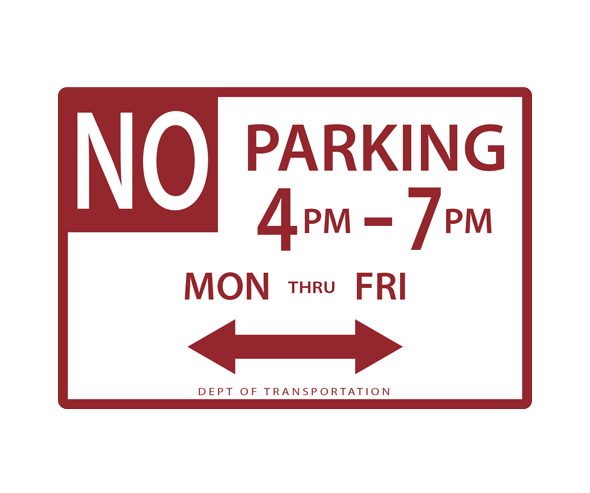 This “NO PARKING” street sign indicates that vehicles may NOT park at this location during a certain time period on certain day(s). 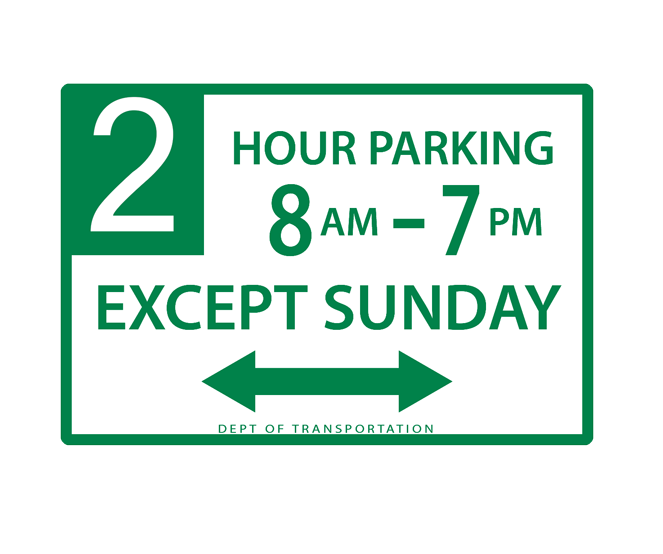 This specific sign states there is NO parking Monday through Friday between the hours of 4pm and 7pm. 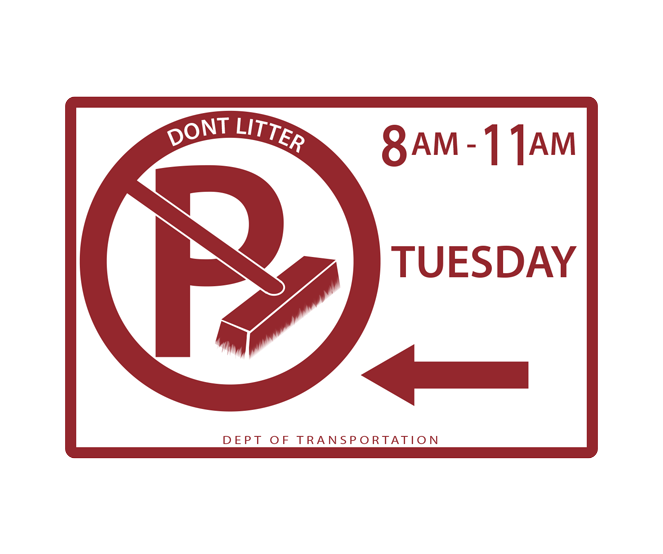 The street cleaning parking sign tells a driver that they may NOT park their vehicle at this location during certain days between specified hours. This specific sign states you CANNOT park your vehicle to the LEFT of the sign on a TUESDAY between the hours of 8AM and 11AM.